If I was given the ability to chose in which time in Yemen I would like to live in, I’ll truly chose to live during Dr. Raufa Hassan’s generation; because I really wanted to accompany her in her inspiring path and work with her on the educational, developmental and cultural projects she has done for Yemen. However, when I think of her works, I know for sure that she paved the road for me and so many other youth in Yemen. Even though she left our world at very early time, her legacy is immortal. 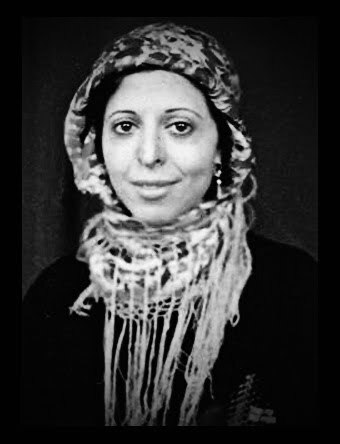 The 27th of April coincides the first death anniversary of the late Dr. Raufa Hassan (1958-2011), Yemen’s first female journalist and one of its most remarkable intellectual figures. Essentially, throughout all her lifetime, she has been contributing to Yemen’s cultural, educational and developmental aspects in so many ways. She is the founder of the Media College at Sana’a University. For several years, she was a professor of Mass Media at Sana’a University after obtaining her PhD in Communications from Paris. During her work at the university, she established the first Center of Women’s Studies at the University that focused on gender issues. The Center was closed down not long after its establishment and Dr.Hassan was expelled from the University. She and the Center faced huge problems with religious groups in Yemen. Next, she founded the Cultural Development Planning Foundation (CDPF), her own independent organization that focused on establishing and implementing developmental and cultural projects around Yemen’s provinces. Since I was working as a journalist in Yemen, I had the chance to visit CDPF several times from 2009 and on and wrote about a number of the foundation’s projects. When I had talks with Dr. Hassan, I was amazed by her modesty and wide knowledge about whatever subject-matter we were talking about. I knew that she was one in a million. Unfortunately, she became ill starting from mid of 2010 and had to leave to Cairo for medical treatment but her foundation kept operating its projects led by her brother, Eng. Yahya al-Sharqi. Since her departure, the political scene in Yemen drastically changed. I was waiting impatiently for her to come back from Cairo to tell her all about the revolution because I knew that she was working on several projects that focused on raising political awareness throughout several provinces in Yemen. Sadly, that was not possible. On the 27th of April, last year, Yemenis woke up to the sad news that Dr. Hassan left our world forever. It broke and still breaks my heart that she is no longer with us. May Allah bless her soul! In an attempt to highlight her work and her wonderful personality, I interviewed Mr. Zaid al-Alaya'a, LA Times correspondent and former chief editor of Yemen Today Magazine, who has known her awhile ago. In the interview, he shares information about his acquaintance and experience with Dr. Raufa Hassan. Afrah Nasser (AN): How will you introduce Dr. Raufa Hassan to someone who didn’t read/know about her? Zaid al-Alaya'a (ZA): Dr.Raufa Hassan, the first in everything she did. She is the first female radio presenter, the first female journalist, she is the founder of Faculty of Media in Sana'a University, and without her; there would not have been any journalists in Yemen. Basically, she is the guru or spiritual mother of all journalists in Yemen. Plus, she is the first woman that started looking at gender studies in Yemen. She founded the Women Center for Studies and Researches in Sana'a University. (AN): How did you come to know her in the first place? (ZA): I met her the first time in 2004, in her organization Cultural Development Planning Foundation when I was the cultural editor of the Yemen Observer. I did an interview with her and decided that I wanted be a volunteer with her organization because I believed in the work she was doing. Every time I talk with her, I get new benefits, something new that adds to my culture and knowledge. (AN): How did it seem like to be working with her? (ZA): Working with this woman is the best thing that I did in my life as a journalist. It is a lifetime experience to work with someone who takes pride in everything she does and does all her work with love and passion. This woman May God bless her soul was an idealist and never compromise her work; she accepted nothing in her work but excellence. (AN): From your point of view, what were her strength and weakness points? (ZA): To be honest and with no exaggeration, she had no weak points, she was a mixture of strong points. The best thing about her and the strongest point in her personality is that she was an independent woman and has no political affiliation. This allowed her to work freely dedicating her work to all Yemenis and that's why she was respected by all people from all political sides. (AN): In your opinion, what are the very important stages in her career that set her to become one of the most prominent intellectuals in Yemen? (ZA): In all her stages of her life, she was an exceptional woman. 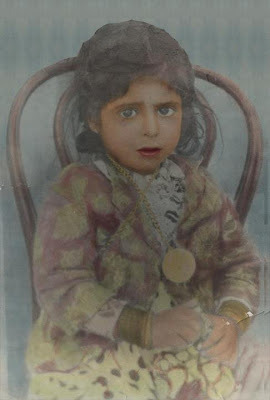 In her early years of childhood, she with couple of girls went to meet the PM of Yemen during the late seventies to ask him to allow them to study in boys’ school because in girls school there were not enough books. (AN): What do you think were the challenges she faced throughout her work? (ZA): The most important challenge that she faced was being a single, open-minded woman in a society that is dominated by men. Another important challenge that she faced as that she was smarter than all the woman and men around her. Plus, with being independent she lost high spots in the government but she won herself. (AN): What was the main theme of her work? -If you could categorize her work to certain aspect; feminism, political activism or freedom of press, what would you pick? (ZA): She had all the themes that you mentioned. This is in addition to her work in the field of culture and gender studies. Within the cultural context, one of her most important work was the exhibition that she organized in Sana'a, Aden, Hadhramout and Germany. The exhibition was about State Dress and Codes of Identity for Yemen in the period 1948-2004. In this exhibition she gathered emblems, flags, stamps, national anthems currencies of Yemen in that period plus the dress of leaders during the specific period to provide a visual memory for Yemen's modern history. There are many things that she also did on gender studies and women empowerment and good governance. (AN): Is there an incident or conversation that you had with her and did touch you the most? (ZA): One day I was with her in the foundation CDPF and we were talking and I was asking her for help in my MA thesis and she told me" Zaid you have to fall in love with anything that you do, doing things with passion is the way to success. (AN): What do you think her legacy would be? How do you think she’ll be remembered? (ZA): Dr. Raufa was a professor, journalist, and activist. She was a strong heroine in Yemen’s political scene. Dr. Raufa won the respect of all people around her and at the top were the politicians. Dr. Raufa will be remembered as the real driving force behind the creation and the establishment of real press and real journalism. With no exaggeration almost if not all the leading journalists in Yemen were her students and if not they were a regular visitor to her foundation to ask and enquire about anything in the press, media and other social, political and cultural issues. Based on my experience as one of the luckiest people who had the chance to spend a great deal of time with her, this woman was capable to do several things at the same time in the same perfect manner. She was a perfectionist and always amending and changing things even in the last minute. You can never hear this woman speak in a loud voice. She spoke in the sweetest, quietest voice that was at the same time very powerful and when she spoke one has no choice but to listen to her with all the focus he/she has. (AN): If you meet her today, what would you tell her? (ZA): Look Afrah, I have known this woman for a quite long time since 2003 and I had so many things that I shared with her. I can write a book about this woman. I am writing the answer of this question and I burst in tears because I loved this woman and still love her and I will always love her as everything, friend, mentor and mother. I will tell her if I see her today" I miss you so much, you've taken one of the most beautiful and most realistic smile I had when I was around you. You were the only one that made me feel like a real human being with mind. Your respect for the minds of people around you was the greatest thing. May God bless your soul Dr.Raufa.